Wood, the fibrous, structural tissue of stems and roots has been used by humankind thousand of years for both fuel and as construction material. But it is much more than that. 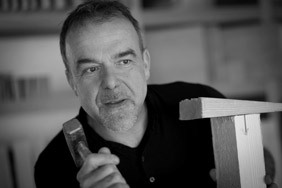 Klaus Wangen originated a very special process of splitting wood into artistic kinds of panels. More than the use as pure construction material it is his intention to offer his customers the heritage of an original handcrafted product, combined with the warm atmosphere of an organic compound. Beyond the boundary of the region Eifel, the Designer offers his new experience of interior design to a global community of enthusiasts.